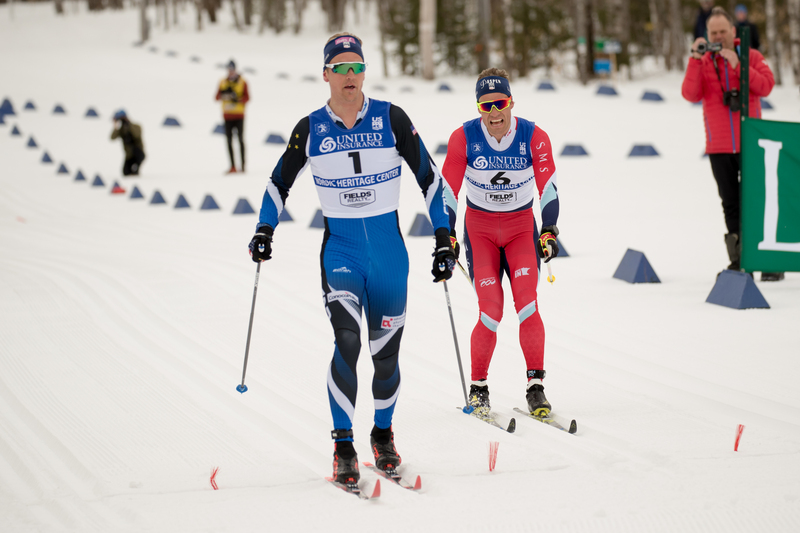 Super Tour Finals continued in the north woods of Presque Isle, ME with the first of the men’s and women’s distance events. Icy conditions caused a delay in racing and left fast classic tracks at the Nordic Heritage Center. The races can be streamed live or replayed on the U.S. Ski Team Facebook page. 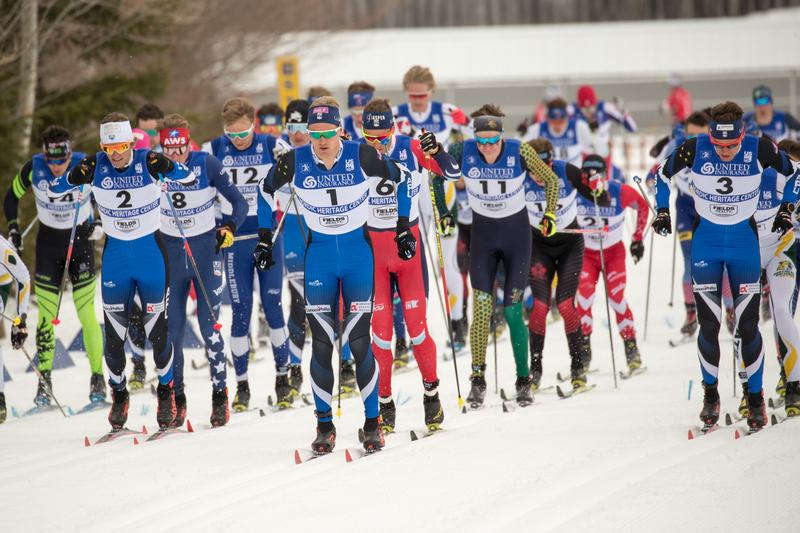 In the men’s 15-kilometer race, a pack of six men led by Simi Hamilton (USST/SMS T2) gradually pulled away from the field over the first 10 k. Tucked in behind him were Erik Bjornsen (USST/APU), Gus Schumacher (USST – D/AWS), Scott Patterson (USST/APU), David Norris (APU), and Ben Ogden (USST – D/UVM). As the group approached the end of their last 3.75 k lap, Hamilton and Bjornsen broke away with Schumacher close on their tails. In a final double pole sprint, Bjornsen edged out Hamilton, stopping the clock at 37:50.2. Hamilton crossed the line 0.4 seconds behind, followed by Schumacher in third (+2.6). As a U-20 athlete, Schumacher’s podium finish is particularly noteworthy. 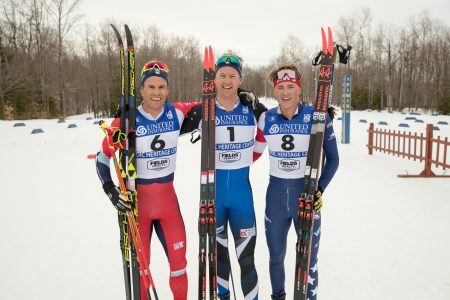 Another strong U-20 result was had by USST D-Team athlete Ben Ogden (UVM) who took 6th. The women’s 10 k event spread out much more quickly, as Sadie Bjornsen (USST/APU) charged to the front stringing out the women behind her. Skiing alone for the second half of the race, Bjornsen took the win handily with a time of 29:00.5. 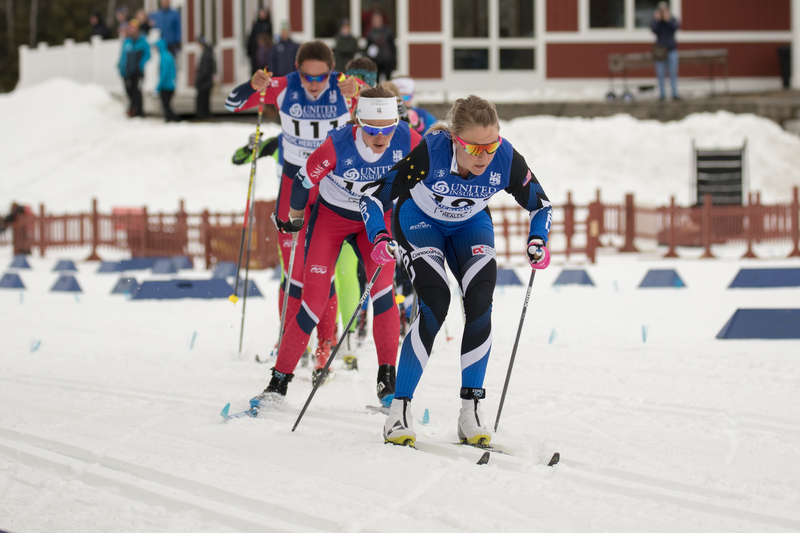 This is Bjornsen’s second consecutive win as she also won Friday’s 1.4 k freestyle sprint. Chasing her teammate, Rosie Brennan (APU) crossed the line in second (+19.4), followed by Dahria Beatty of Canada (CNST) in third (+31.3). Hailey Swirbul (USST – D/APU) crossed the line just after Beatty as the third American (+41.5). Racing continues tomorrow with 4 x 5 k team relays.